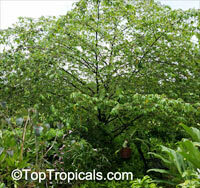 One of the most profuse fruiting trees! 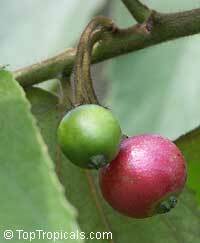 From spring to fall, you will harvest 2 crops a day once the plant is established , in full sun and has enough water. Drought tolerant, but needs regular watering to establish. 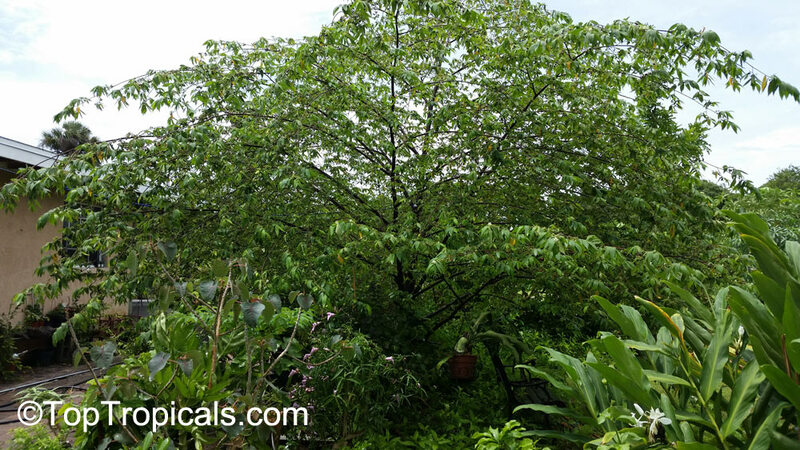 This is a very fast-growing tree of slender proportions, reaching 25 to 40 ft (7.5-12 in) in height, with spreading, nearly horizontal branches. 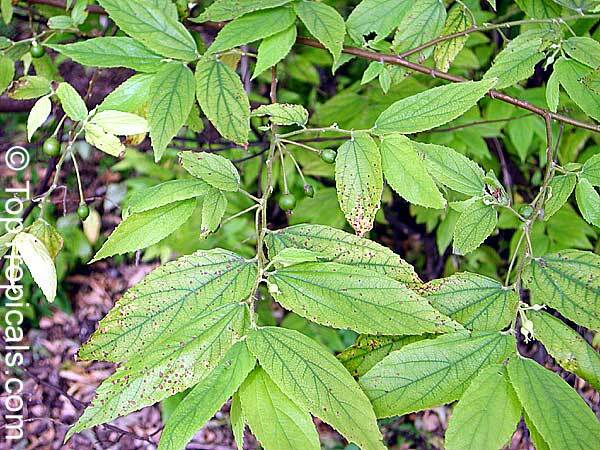 The leaves are evergreen, alternate, lanceolate or oblong, long-pointed at the apex, oblique at the base. 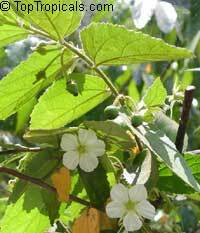 The flowers with 5 green sepals and 5 white petals and many prominent yellow stamens last only one day, the petals falling in the afternoon. 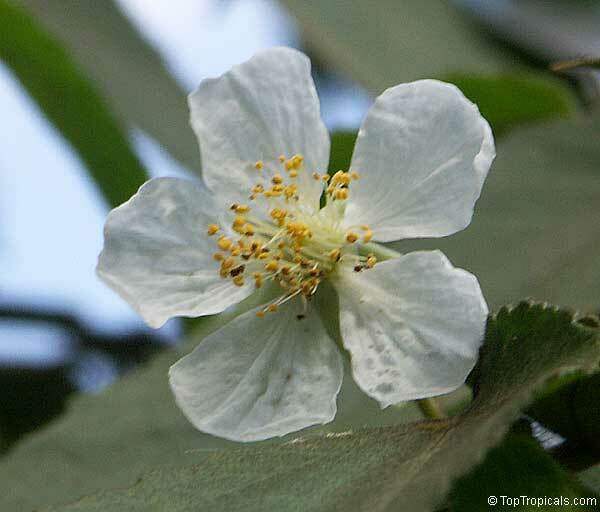 Flowers resemble strawberry bloom, hence the name of the tree. 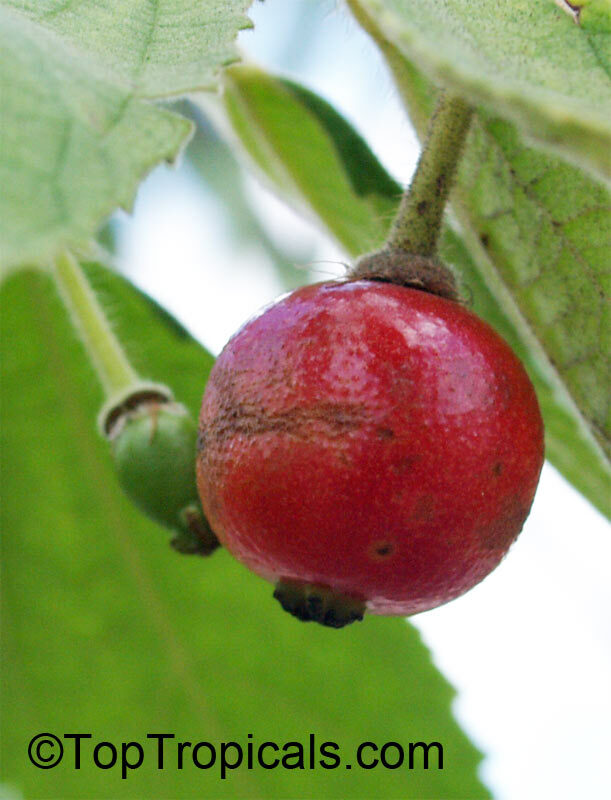 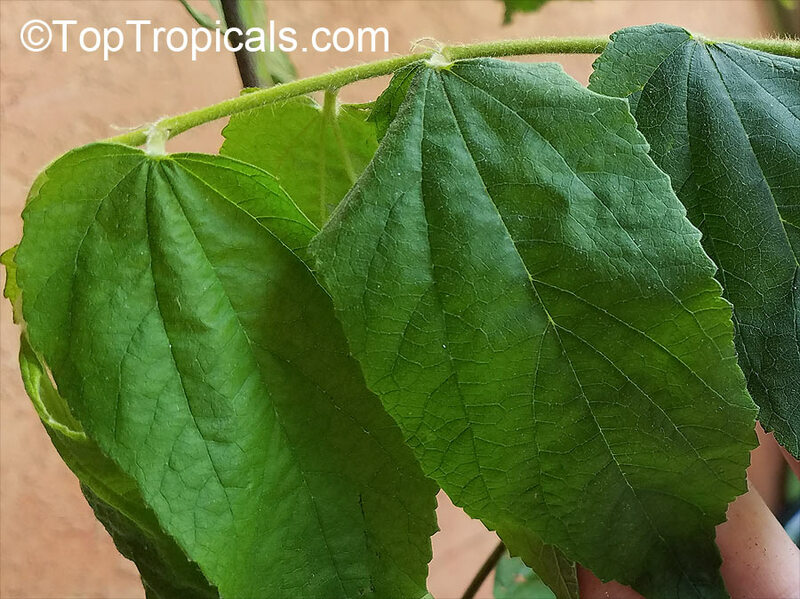 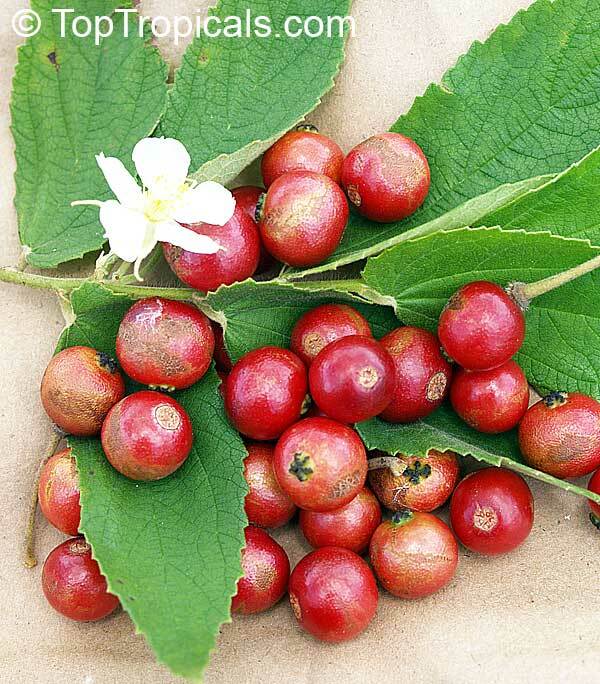 The abundant fruits are round, 3/8 to 1/2 in (1-1.25 cm) wide, with red or sometimes yellow, smooth, thin, tender skin and light-brown, soft, juicy pulp, with very sweet, musky, somewhat fig-like flavor, filled with exceedingly minute, yellowish seeds, too fine to be noticed in eating. Fruit taste like cotton candy. 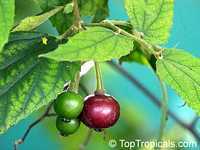 The fruits are sold in Mexican markets. 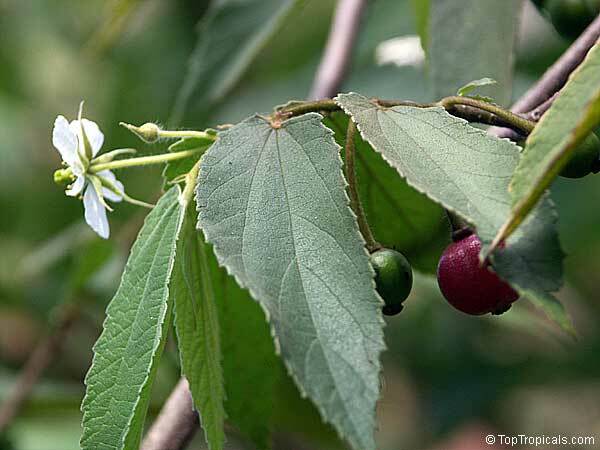 In Brazil, they are considered too small to be of commercial value but it is recommended that the tree be planted on river banks so that the abundance of flowers and fruits falling into the water will serve as bait, attracting fish for the benefit of fishermen. 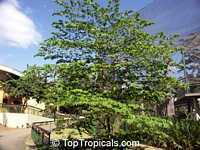 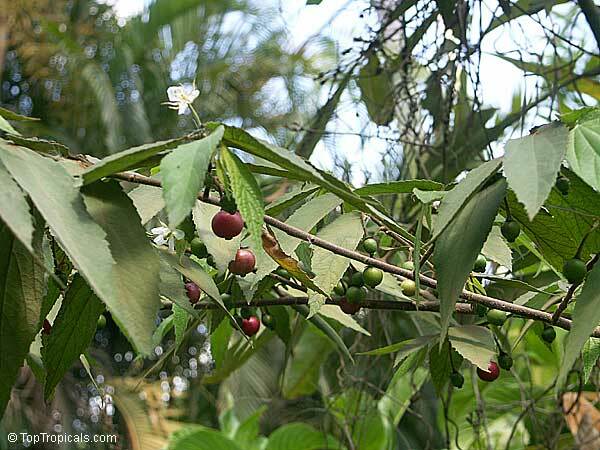 In Malaya, the tree is considered a nuisance in the home garden because fruit-bats consume the fruits and then spend the day under the eaves of houses and disfigure the porch and terrace with their pink, seedy droppings. 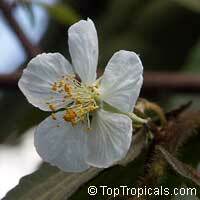 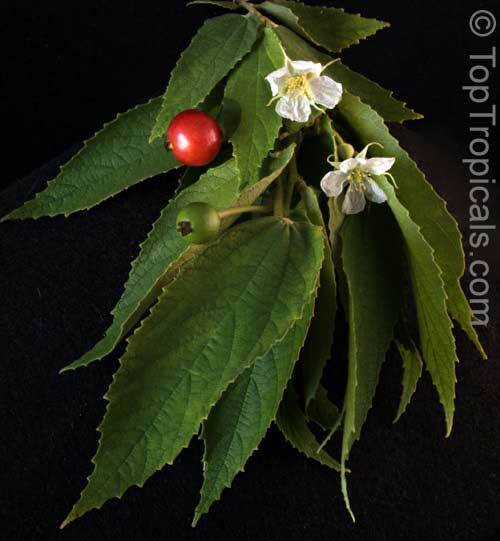 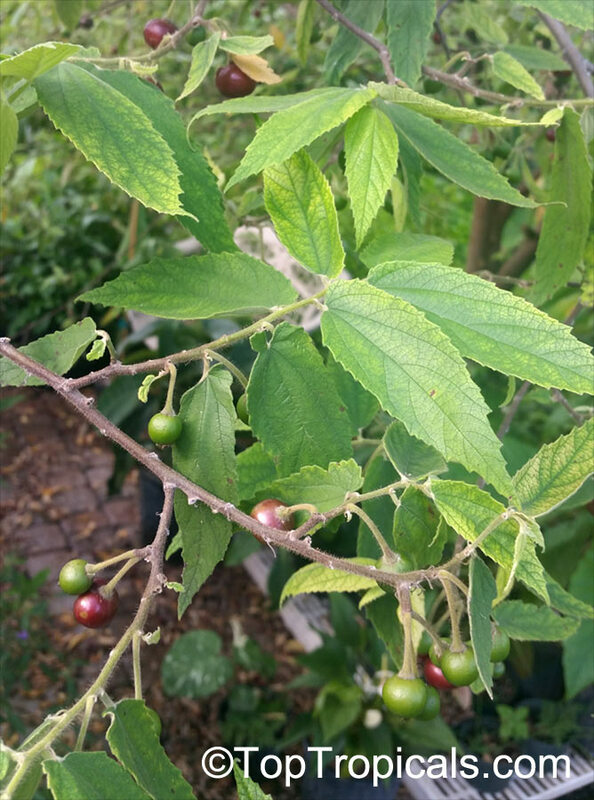 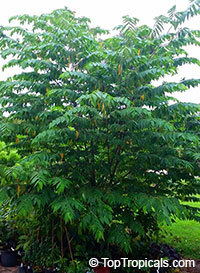 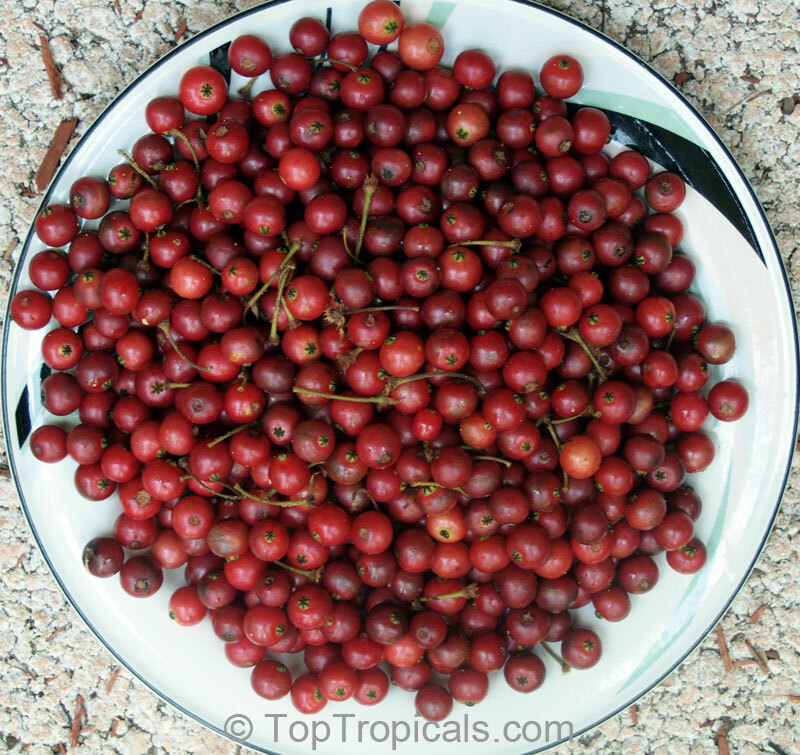 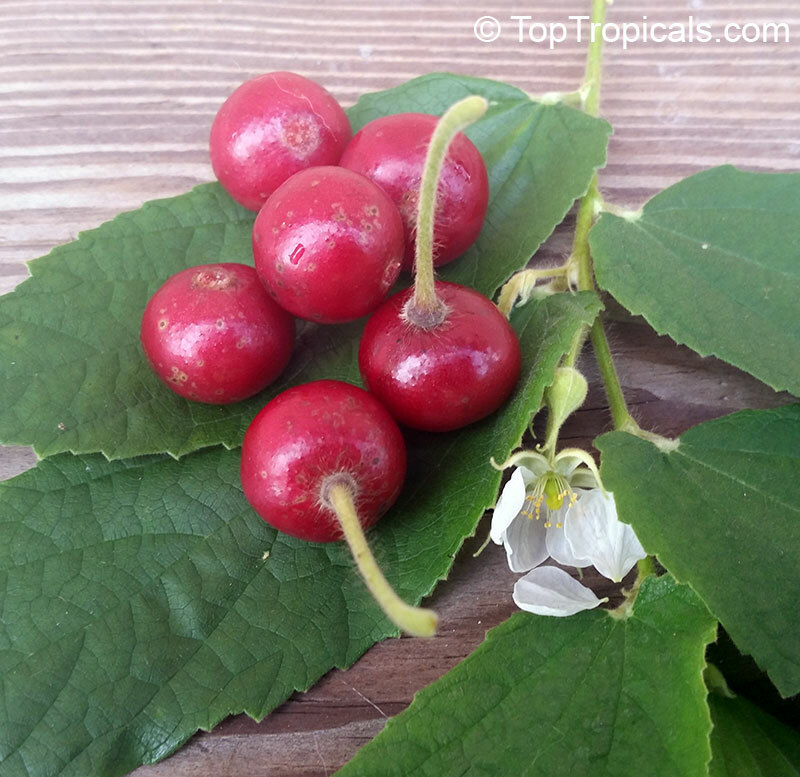 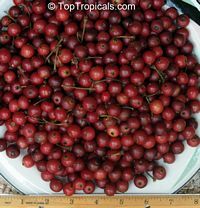 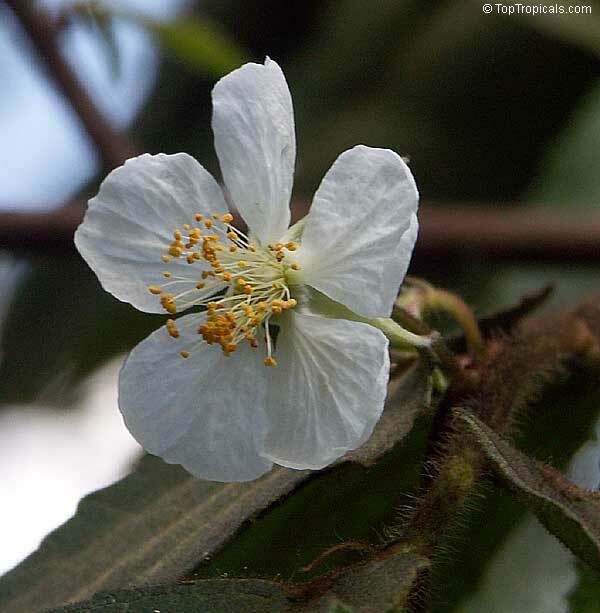 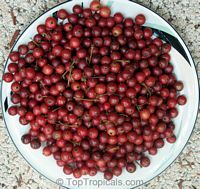 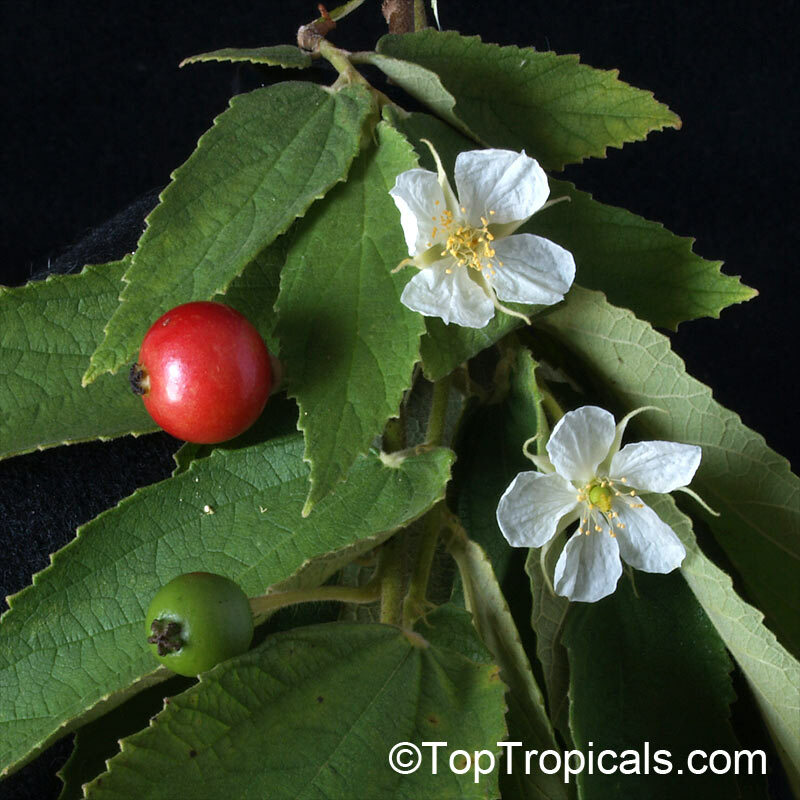 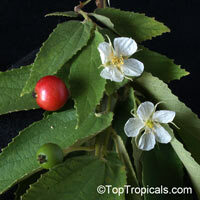 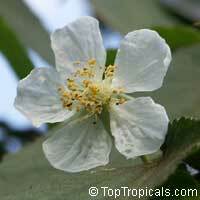 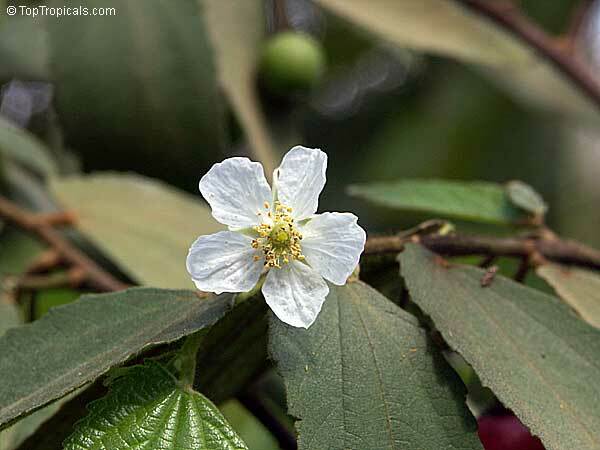 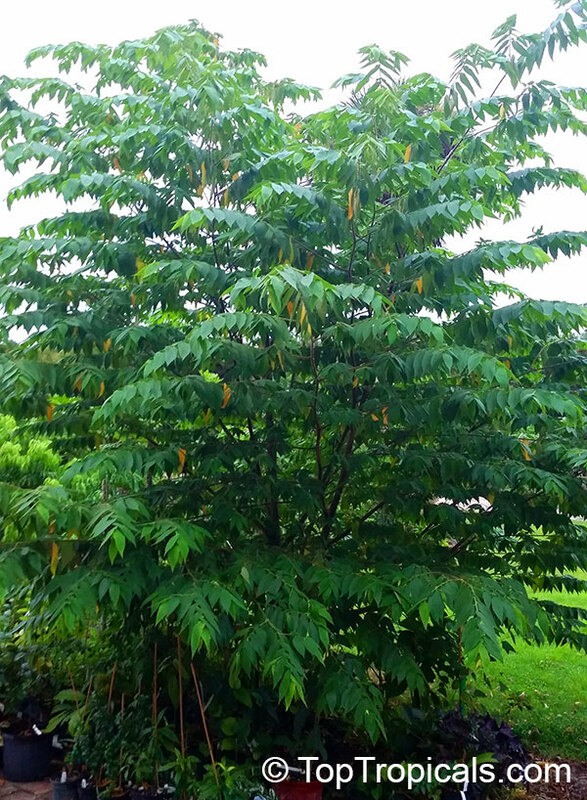 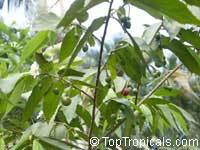 The Jamaica cherry is tropical to near-tropical. 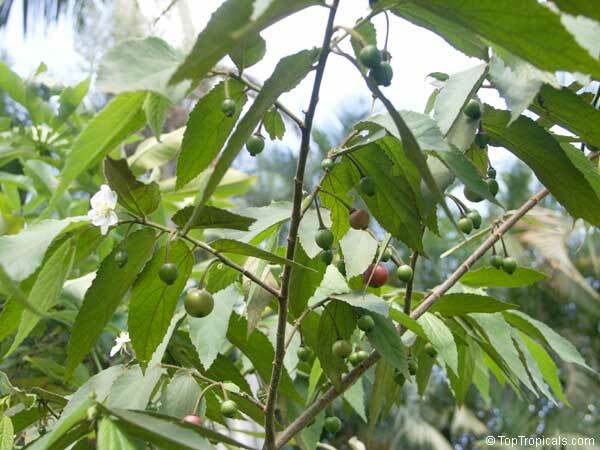 The tree has the reputation of thriving with no care in poor soils and it does well in both acid and alkaline locations, and even on old tin tailings in Malaya. It is drought-resistant but not salt-tolerant. 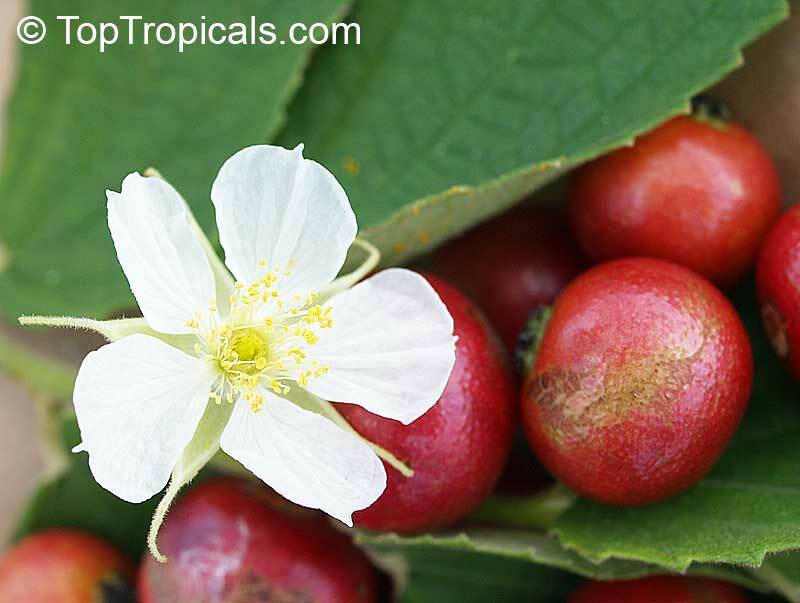 Wherever it grows, fruits are borne nearly all year, though flowering and fruiting are interrupted in Florida and Sao Paulo, Brazil, during the 4 coolest months. Ripe fruits can easily be shaken from the branches and caught on cloth or plastic sheets. 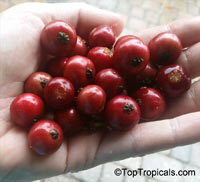 The Jamaica cherry is widely eaten by children out-of-hand, though it is somewhat sticky to handle. 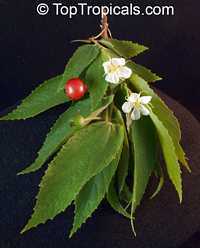 It is often cooked in tarts and made into jam. The leaf infusion is drunk as a tea-like beverage. 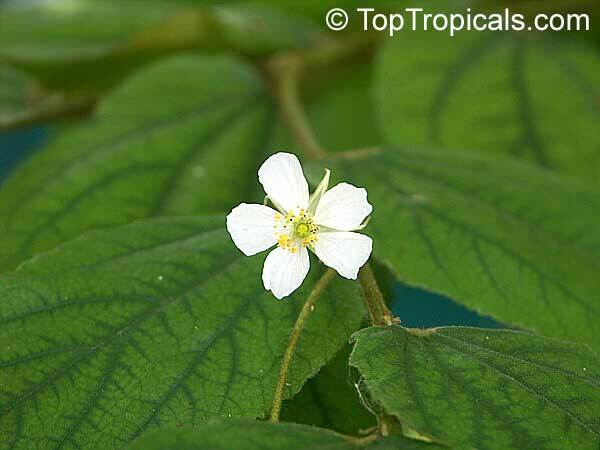 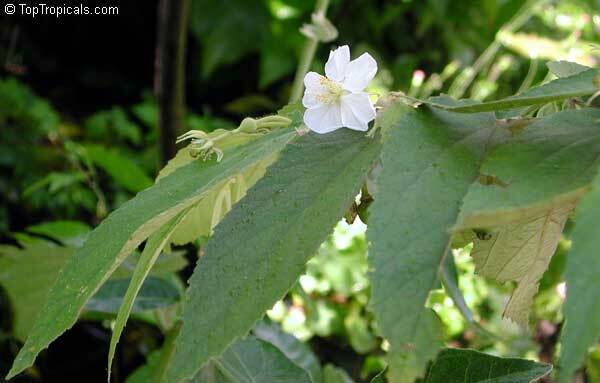 The flowers are said to possess antiseptic properties. An infusion of the flowers is valued as an antispasmodic. 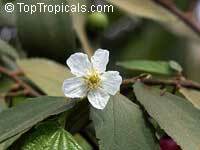 It is taken to relieve headache and the first symptoms of a cold. Seeds spread by birds and fruit bats. 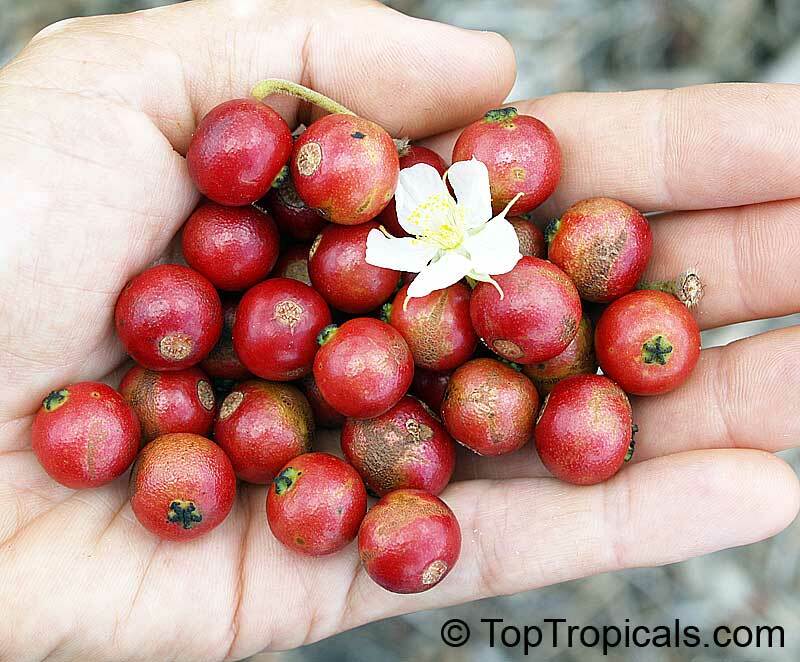 Fruits contain hundreds of tiny seeds. Seeds germinate only with light.